Click here to see an annual calendar of commemorative days both in a National and International context (Fully Updated for 2019). The purpose of this is to facilitate the planning ahead of a wide range of heritage events. While this is not an "all inclusive" list it should provide a good summary of the year's many important dates. The planner is essentially a work in progress, should you be aware of any local or County commemorative dates, by all means please do make contact and these dates will be added to the Planner. The Muskerry Local Historical Society are running a number of interesting heritage events over the coming year. Further details can be seen on the attached list of events. 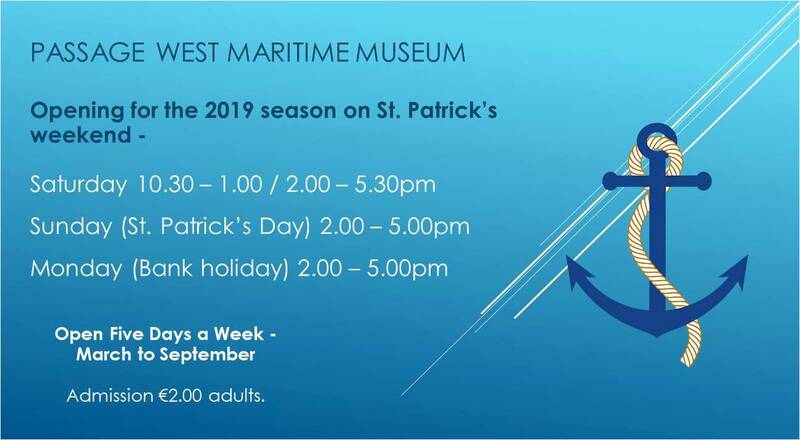 Passage West Maritime Museum: . Additional Information: A wonderful talk organised by the Kilmurry Historical and Archaeological Association will take place on Wednesday 17th April. 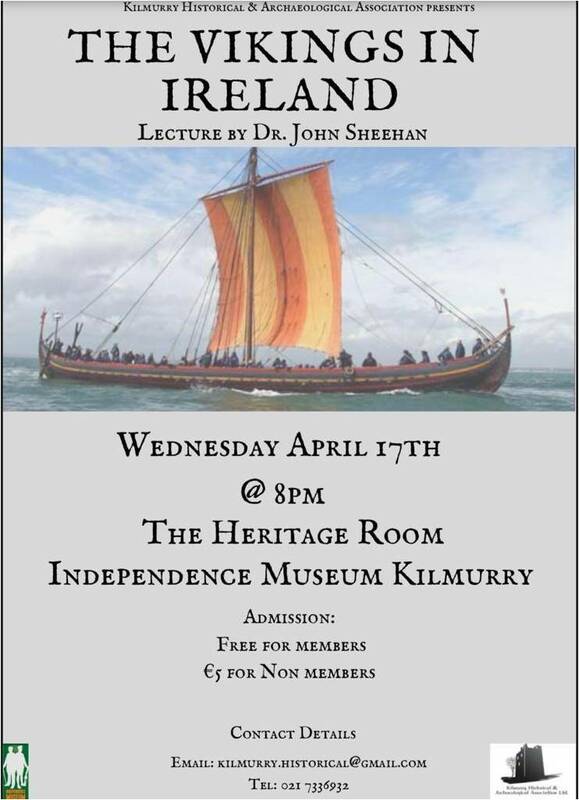 The talk, by Dr. John Sheehan, discusses the Vikings in Ireland and it promises to be a great event, all welcome. For further information email kilmurry.historical@gmail.com. 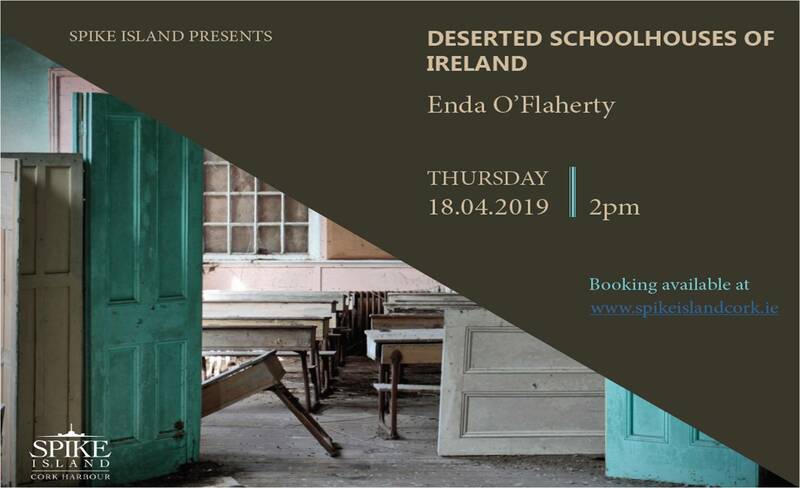 Additional Information: To celebrate the International Day for Monuments and Sites on the 18th of April, Spike Island will hold an exhibition and a talk by Enda O'Flaherty on disused school houses. All are welcome to attend the talk, which commences at 2pm. For more information visit www.spikeislandcork.ie. Clonakilty Agricultural Show was first held in 1901 in the Fair Green, exhibiting a large number of horses, cattle, sheep and pigs. A prestigious event, it was reported that the three horse-jumping competitions attracted a crowd of almost two thousand people. Also very popular was ‘the novel feature’ of a Gaelic festival, in which Irish step dancing, solo and chorus singing, oratory and storytelling competitions were held in front of a newly erected Irish thatched cottage. Lord Carbery’s flying exhibition in 1914 attracted enormous excitement and although there was a lapse for a decade the show was again revived in 1924 and went on to become one of the foremost agricultural shows in Munster by the late 1920s. 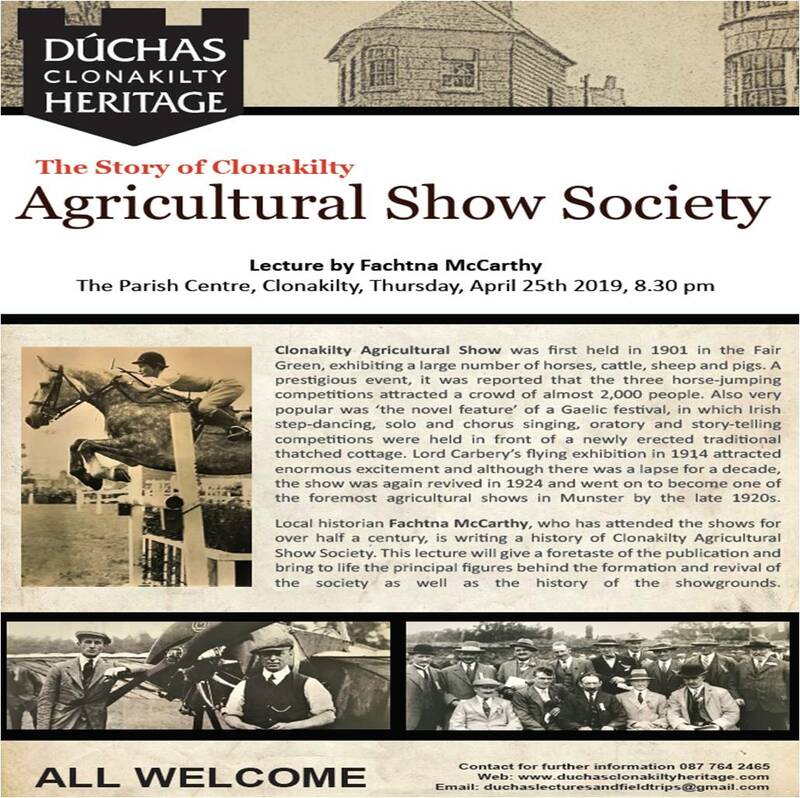 Local historian Fachtna McCarthy who has attended the shows for over half a century, is writing a history of Clonakilty Agricultural Show Society. This lecture will give a foretaste of the publication and bring to life the principal figures behind the formation and revival of the society as well as the history of the showgrounds. All welcome. Additional Information: The ‘War of Independence Exhibition’ opens at Michael Collins House on April 30th at 3pm. Set in the heart of rebel country in West Cork this comprehensive exhibition provides an insight and overview of the war as part of the Centenary Commemorations at the museum. Working in conjunction with Cork Public Museum and revealing new artefacts from the Michael Collins House collection; artefacts belonging to prominent War of Independence figures such as Tom Barry, Tom Hales, Leslie Price and, of course, Michael Collins will be seen in West Cork for the first time. Featuring documents, audio-visuals and information boards, the story of the war is brought to life for all. The exhibition discusses key participants such as Michael Collins and his colleagues in General Headquarters and the Crown Forces who attempted to stop the rebellion. Learn about the ordinary people who made it all possible and the effect of the war had on ordinary life at the time. Recognising the location of the museum, the exhibition also takes a close look at very active West Cork region during this period with its feared Flying Column. 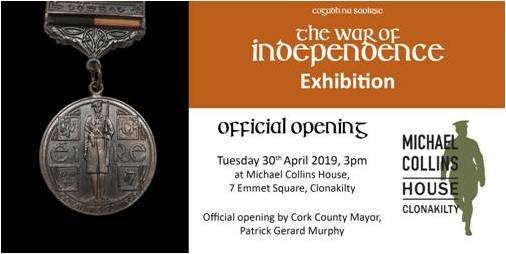 The exhibition will be officially opened by the Mayor of County Cork , Patrick Gerard Murphy at 3pm on Tuesday 30th April followed by some light refreshments. Additional Information: Organised by the Kinsale History Society, a talk by Pat O'Leary titled 'The First Dáil' will take place in the Temperance Hall. All welcome. Additional Information: A wonderful talk organised by the Kilmurry Historical and Archaeological Association will take place on Wednesday 15th May. 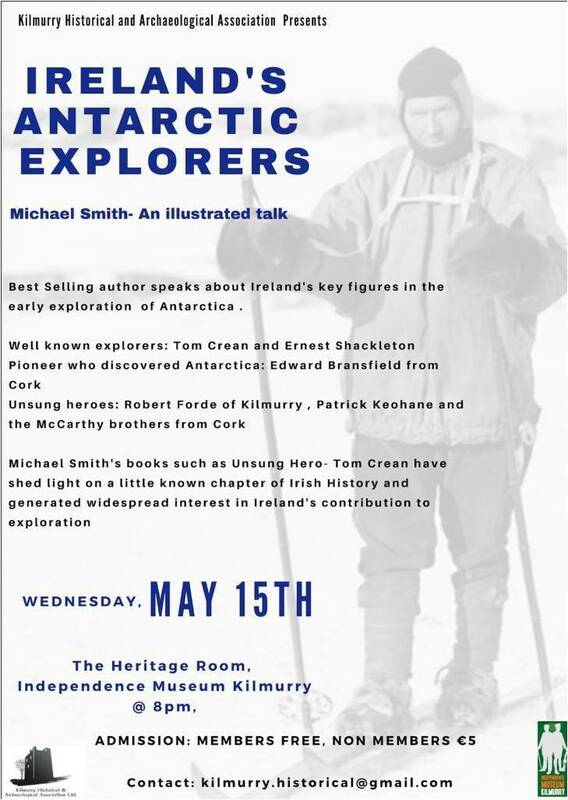 The talk, by Michael Smith, discusses Ireland's Antarctic Explorers and it promises to be a great event, all welcome. For further information email kilmurry.historical@gmail.com. Additional Information: Supported by Cork County Council through the Creative Ireland Programme, a wonderful documentary by Gwenda Young and Dan O'Connell of U.C.C., looking at the movie theatre going culture of County Cork, has been put together. This is called Movie Memories and has been most warmly received all around. The feature will screen in Kanturk on Friday May 17th 2019. All welcome and for more information visit www.moviememories.ie. Additional Information: Tánaiste and Minister for Foreign Affairs and Trade, Simon Coveney, T.D, and Minister of State for the Diaspora and International Development, Ciarán Cannon T.D., will host a series of open consultations around Ireland in the coming months to discuss Diaspora Policy and the event in Cork takes place on Monday 27th May 2019. Registration for the event will open shortly and visit https://www.dfa.ie/global-irish/consultations for more information. If you are unable to attend the event and wish to make a written submission one can do so here, or by post to Irish Abroad Unit, Department of Foreign Affairs and Trade, Iveagh House, 80 St Stephen’s Green, Dublin 2 D02 VY53. Additional Information: Preparations for Heritage Week 2018 are well underway across the country. 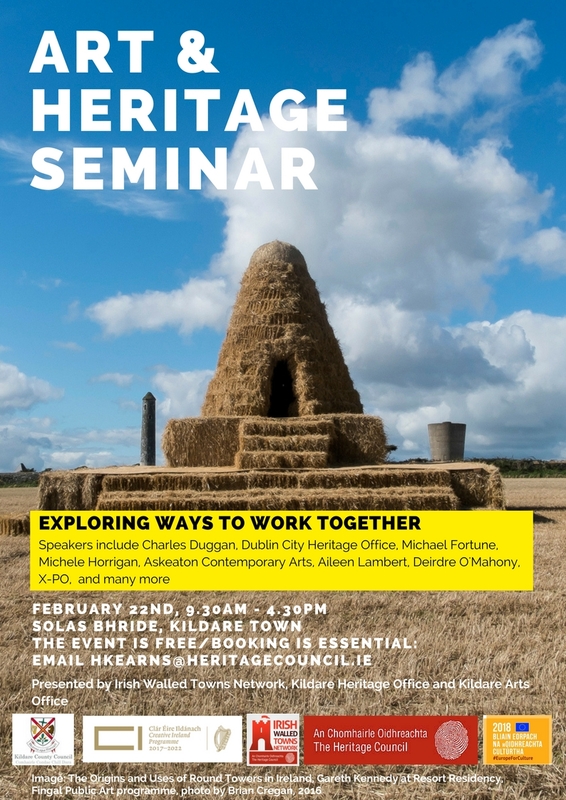 From 18-26 August 2018, hundreds of event organisers in local community organisations will host Heritage Week events and in recognition of this, the Heritage Council is organising a free Training Day for National Heritage Week Event Organisers, taking place in Dublin on April 27th. The day will include talks and workshops with practical event planning advice, networking with other event organisers, and lots of inspiration! Registration is now open. Please note places are limited so only a maximum of two participants from any organisation or group is permissible. If you can't make the Training Day www.heritageweek.ie provides lots of information on planning a great Heritage Week event. 2018: Outside the many hundreds of events that took place during National Heritage Week, Cruinniú na nÓg and Culture Night, etc., over the course of 2018 close to 200 heritage/cultural/commemorative events took place throughout the County of Cork – a credit to all groups and speakers involved. Click here to see a list of the2018 Events. Click here to see a list of the2017 Events.